When you are injured in a California motorcycle accident the other driver's insurance should eventually cover your medical bills, but they are not likely to pay until your case is settled. By working with Dean Goetz you can have control and participation in ensuring that your rights and interests are protected. I work to maximize your financial recovery for your medical bills, pain and suffering, loss of income, motorcycle damage, and any other costs or expenses caused by your accident. Contact me as soon as you are able. I can help you get prompt medical treatment, even if you don't have medical insurance. 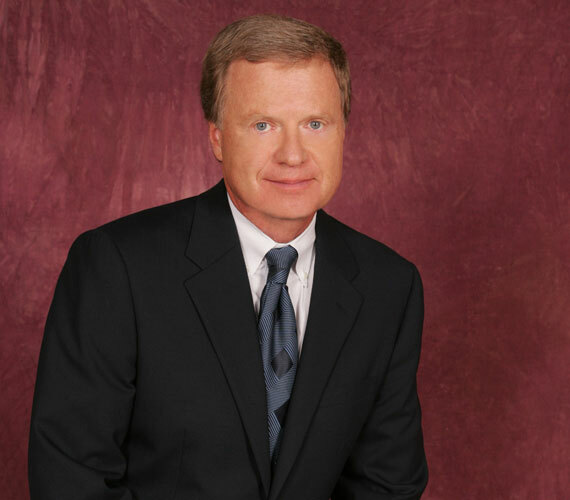 Dean's client was a paraplegic due to a motorcycle accident that had occurred several years before. 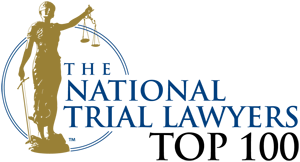 Nominated (PDF press release) for Consumer Attorneys of California Attorney of the Year 2017 with full legal team for our work in Kransky vs. Depuy, and Mr. Kransky's long road to justice. Click a Question to Jump to the Answer Section. 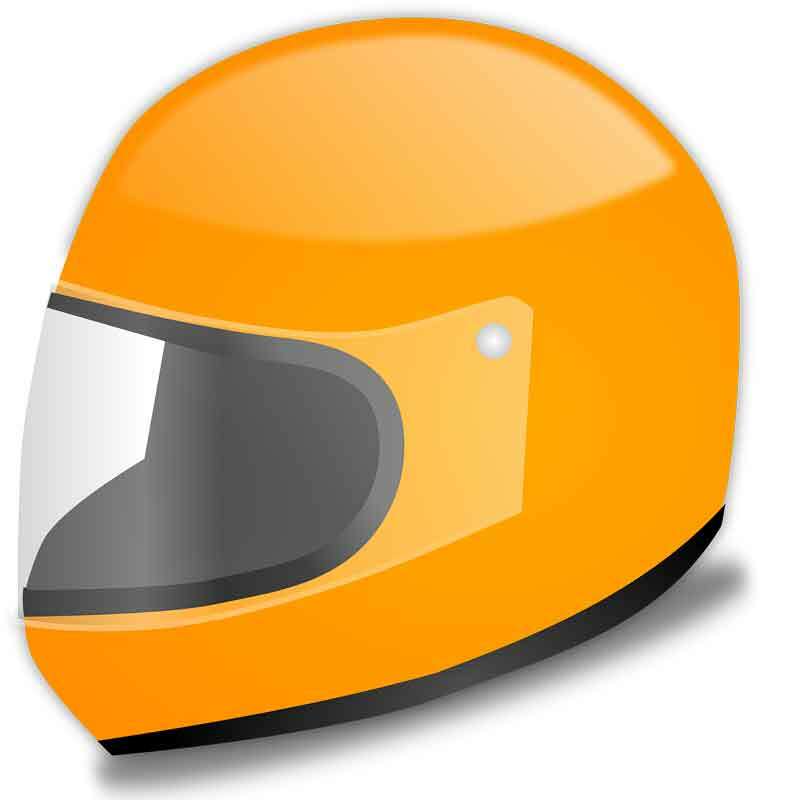 Can I still recover damages from the other driver if I wasn't wearing a helmet and was injured in a motorcycle accident? Should I get a lawyer to help me if I get into an accident on my motorcycle? 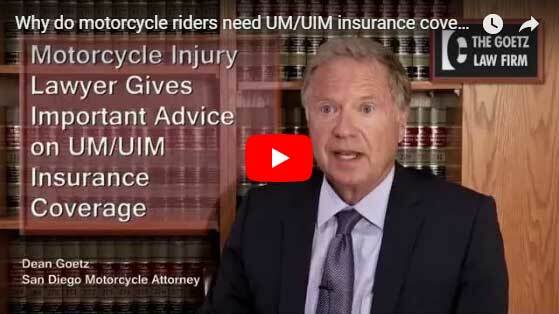 Can I sue the driver who hit me if I did not carry insurance on my motorcycle? Who is at fault in a traffic accident when a car turned left in front of me while I was riding my motorcycle? Should I accept the other driver's insurance company offer to pay me "some money" for an injury I sustained in an accident? What am I entitled to receive for my injuries? Why do I need UM and UIM coverage on my motorcycle? I have the California minimum motorcycle insurance requirement coverage of $15,000/30,000. Am I covered, if I get injured in an accident while driving my motorcycle? How do I find out what the other driver's insurance policy limits are? What if the at fault driver is Uninsured OR does not have enough insurance to cover my personal injury claim or pay for my medical bills? Accident Report - what are the rules for when you must file an accident report with the DMV? What if I do not have medical insurance and no money for a doctor? Can Dean Goetz help me get medical treatment? If you have Medical Payment coverage, which very few motorcycle owners carry, your auto insurance company will pay the bills through the Medical Payment portion of your coverage. If not, use your medical insurance to pay your bills. If you don't have either Medical Payment coverage or medical insurance, you will need to find physicians who will treat you on a lien basis. Contact an attorney to help you find these doctors. Assuming the accident is determined to be the fault of the other driver, your lost income will eventually be covered by the other driver's auto liability insurance policy. However, you will get nothing until your case is settled. Even if you were not wearing a helmet, if someone else caused the accident, you may bring an action for your injuries. However, not wearing a helmet may make a difference in the amount of damages you receive, if you suffered a head injury. Dean Goetz can discuss this fully with you. YES. It is important to retain an experienced motorcycle attorney in a motorcycle injury case in order to make sure that you are treated fairly by the insurance company. A good lawyer will handle the entire claim for you from beginning to end. He will have the accident investigated by an accident reconstruction expert, refer you to health care providers on a lien basis if needed, deal with the insurance companies, get your med pay monies, make a demand on the insurance company, file a lawsuit if needed, get your medical records and review them, provide treatment advice, determine what your case is worth, hire any expert needed to maximize your recovery and ultimately resolve your claim through settlement or trial. Lack of insurance on your motorcycle does not prevent you from filing a claim against the other driver but it will limit your damages. Since the law requires that a motorist planning on making a left-hand turn must yield to all oncoming traffic, typically a left-hand turning vehicle which hits a motorcycle will be found legally liable. The exceptions to this general rule would be that the motorcycle that was going straight was speeding, ran a red light or violated some other vehicle code section. YES and the sooner the better. A prompt investigation is essential because the insurance company will always attempt to prove that the motorcyclist was to some extent at fault in order to pay the least amount of money as possible. Every case is different. The exact type of compensation and the amount you might receive depends on your individual situation. For example, the amount you receive will vary depending upon how severely you were injured, whether you lost income, and whether your injuries are permanent. Another major factor is the amount of liability insurance carried by the other motorist and the amount of UM and UIM coverage that you have on your motorcycle. UM and UIM are acronyms for Uninsured Motorist Coverage and Under insured Motorist Coverage. If the other motorist does not have auto liability insurance he is referred to as an Uninsured Motorist. If the motorist has insufficient liability limits to cover the full amount of your damages, he is an Under insured Motorist. Since these motorists probably do not have any assets, it is very likely that you will not be able to recover anything from this person. Even if you are severely injured or even crippled for life you will get nothing from this person. However, if you have Uninsured Motorist Coverage or Under insured Motorist Coverage you can make a claim with your OWN motorcycle insurance company for your damages up to the amount of your UM/UIM limits. For this reason it is VERY IMPORTANT to have at least $100,000 in UM/UIM policy limits. It only costs $100 - $250 per year to have $100,000 - $300,000 limits. 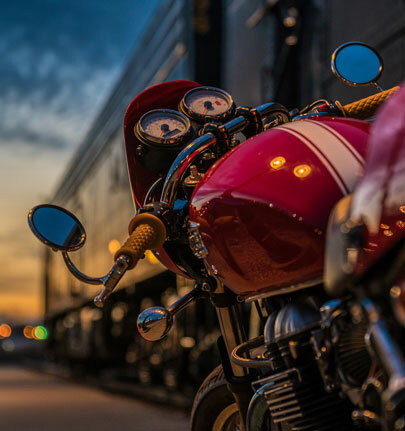 If you are a motorcycle rider, this is the best money you will ever spend because when you get in an accident it is likely that you will suffer a serious injury and it is even more likely that the other motorist will have insufficient auto liability limits to cover your damages. Get smart and get UM/UIM insurance coverage for your bike today. Protect yourself and your family. No, the liability coverage is to pay for the damages incurred by the other driver and his passengers, if you are at fault in an accident. It does not cover any of your injuries even if you are not at fault, UNLESS you have UM or UIM coverage. Auto insurance companies will rarely give out this information until it is to their advantage. You need to hire a personal injury attorney who will file a lawsuit. Once that lawsuit is filed the insurance company is required to provide your lawyer with a copy of the insured driver's insurance policy limits. Medical Payments Coverage - Covers the medical costs (up to the specified limit) resulting from an auto accident for you, your family, or others in your car. This coverage pays regardless of fault. This is also referred to as Personal Injury Protection (PIP). California does not require Medical Payments Coverage, under the minimum auto insurance requirement law. You may have not chosen to get the medical payments coverage when you purchased your auto insurance policy. Unlike the bodily injury liability insurance, the medical bills coverage is no fault insurance, and it will pay for your medical bills even if you were at fault in the accident. With Personal Injury Protection medical bills coverage, you'll have a policy that helps pay for the treatment of you and your family even when you are on a bicycle, motorcycle, or pedestrian. This medical payments - personal injury coverage extends to cover expenses beyond just medical bills, it also covers your loss of wages or services, and in some cases, funeral costs. Personal Injury Protection insurance also can extend to take care of your passengers' bills. This coverage also covers you and your immediate family when you are on foot as a pedestrian or on a bicycle. This means that say you and your spouse were riding bicycles and hit by a hit and run driver, this no fault medical payments coverage will take care of both of your medicals bills and lost wages. You will probably recover nothing UNLESS you have UM or UIM coverage on your motorcycle insurance policy. MAKE SURE YOU HAVE THIS COVERAGE ON YOUR BIKE. Uninsured and under insured (UM / UIM) coverages are always available to you, by law. Uninsured (UM) or under insured motorist (UIM) motorcycle accident insurance coverage protects the policy holder involved in an accident when the other driver, either does not have liability insurance or does not have sufficient bodily injury liability limits. It is a California Law that every automobile insurance company must offer uninsured motorist coverage, and they are required to have a signed waiver if the coverage is rejected. For example, if you are involved in an auto accident and the at fault driver only had the minimum California Bodily Injury Liability coverage of $15,000 and your medical bills exceed $100,000, your own insurance, the underinsured motorist coverage part, will pay the remaining $85,000, depending on the UM/UIM policy limits that you purchased. There are additional complexities as to how these bills will get paid and by whom, but you should be protected by the UM/UIM. Adding as much uninsured and under insured motorist coverage as you can afford to your auto insurance policy will help protect you and your family not only in the car, but also on bicycle or as a pedestrian or riding a motorcycle. Very often bicycle, pedestrian, or motorcycle riders find themselves the victims of a hit and run driver. Statistically, uninsured drivers are the most dangerous on the roads. They tend to be involved in more accidents, as well as more serious injury accidents, and driving older more dangerous vehicles. According to the California DMV Motorcycle Handbook, if you, as an operator, are involved in a collision which causes more than $750 in property damage to one person, including yourself, or in which anyone, including yourself, is injured, no matter how slightly, you (or your insurance agent, broker, or legal representative) must report the collision to DMV. The CHP or police will not make this report. You must make this report within 10 days on the Report of Traffic Accident Occurring in California (SR1) form. You can get this form from any DMV or CHP office. This form is also available on the DMV's web site www.dmv.ca.gov. Refer to the California Driver Handbook for more information. Here's some additional advice on what to do after a motorcycle accident. We can IMMEDIATELY put you in touch with doctors and medical care providers who will treat you right away without requiring medical insurance or money up front. We have access to experts and other resources that allow us to aggressively pursue your claim and maximize your results. We will investigate and litigate your case and make sure you get medical treatment. I handle all personal injury cases on a contingency fee basis. This means that the attorney fee will be a percentage of any recovery. If we are unable to recover any money damages, you pay nothing. I will also advance all litigation and investigative costs. Hit and Run auto collisions are an epidemic. Around 15% of California autos are operated by uninsured drivers. I frequently consult with motorcycle riders who've been injured in an auto accident. Too often I often wish I had been able to give them motorcycle insurance advice before they ever needed it, which is why I did this video about why I urge motorcycle riders to get uninsured and underinsured motorist insurance coverage (UM/UIM) and published my insurance advice for motorcycle riders and military service people who have been injured while driving their motorcycles to and from work. 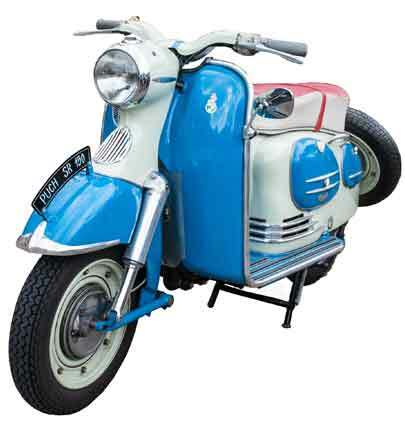 Do you need a motorcycle license to ride a moped, scooter or your new e-bike? Learn more about California laws. Around my office in Solana Beach, North to Oceanside, and South to San Diego are some of the most beautiful stretches of for riding a motorcycle in America. 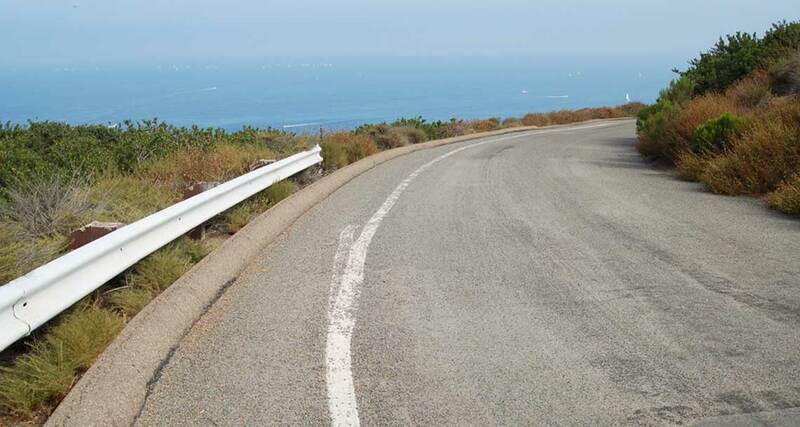 The famous Coast Highway is very popular with motorcycle riders, so, drivers tend to be a little more aware about looking for motorcycle riders. 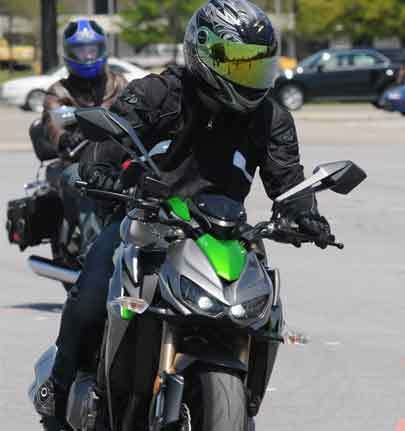 Navy Motorcycle Rider Training - Military Sport Bike Rider Course; Experienced Rider Course; Advanced Rider Course which is similar to the Military Sport Bike Course, the difference being it is geared towards cruiser riders. Helpful safety information for motorcyclists and car drivers alike in understanding common motorcycle v. auto crash patterns. Historically, approximately 2/3 of motorcycle crashes have been caused by the car driver. Questions? Get answers. Contact me for a free consultation. Proud to be a Gold Business Sponsor of the San Diego Mountain Biking Association.